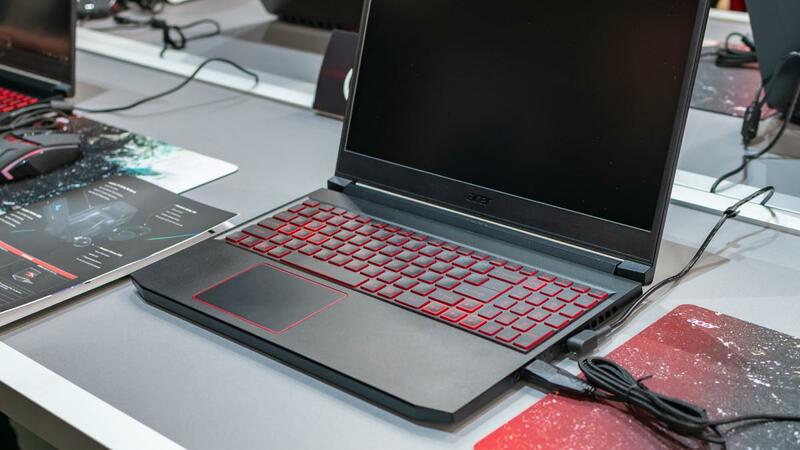 As 2019 begins to find its footing, Acer has given its gaming lineup a substantial revamp. While the Predator range targets the high-end gamer with the Helios 700, the brand-new Nitro 7 looks to be well-suited for those with thinner wallets. You might have heard of Acer’s affordable Nitro range before, but this new Nitro 7 is certainly something special. That’s because, despite its generous internal specifications and large 144Hz screen, this laptop is quite a bit lighter than most other gaming devices on the market. The Nitro 7, like the rest of Acer’s gaming range, is a lovely-looking laptop with portability and performance at the very heart of its design. Despite its large screen, the machine weighs only 2.5kg and is only 19.9mm thin – a tremendous attribute for gaming on the go and a form factor that very few gaming laptops actually offer. Elsewhere, the Nitro 7 is fitted with a 15.6in Full HD display and, though it can’t quite match the near-edgeless design of Huawei’s MateBook X Pro, it still has some of the skinniest screen-bordering bezels I’ve ever seen on a gaming laptop. This is also a 144Hz refresh IPS panel, so gaming at high frame rates is a possibility. But what good is a high-refresh screen without the grunt to play the latest games at their best graphical settings? Well, I’m happy to report that the Nitro 7 is powered by Intel’s latest high-speed, ninth-generation i9 processors, with a choice of up to 16GB of DDR4 RAM. Alas, you won’t find any of Nvidia’s latest RTX-series graphics chips, like the ones found inside the Helios 700, but the previous-generation GTX graphics cards should do the job for the price. It also includes plenty of storage space, with a choice of up to 1TB of NVMe SSD storage and either a 1TB or 2TB hard drive. As for ports, you’ll find a single USB Type-A connector on the right-hand side, sitting next to the laptop’s 3.5mm audio jack. Two further USB Type-A ports are found on the right edge, along with a HDMI 2 slot, single USB Type-C port and the Gigabit Ethernet port. You won’t find any fancy fingerprint readers for secure unlocking, although the laptop’s Windows Hello-certified webcam above the display does allow for face unlocking. The Nitro 7 appears to offer the perfect blend of affordability and high-end gaming features. It’s too early to tell for sure, but as it stands the Nitro 7 could seriously reset the benchmark of what to expect from a high-end gaming device priced just under the £1,000 mark. I look forward to properly putting it through its paces when it launches later in June.